This Wild Woman of the Wilderness refuses to let age keep her grounded. If you’ve ever spent a summer weekend hiking in the Colorado Rockies, maybe you’ve seen a pack of women from Kansas trekking the terrain. By day, they crush the steep mountain trails. By night, they pitch tents, cook fresh fish they caught, and sing songs and crack jokes around the campfire. The ladies in the group always ask Blaze, a 78-year-old so nicknamed for her expert fire-starting skills, to light it. For the majority of the year, when she isn’t exploring the backwoods with some of her best friends and family, Blaze is better known as Marlis Nickel, a recent retiree and longtime resident of tiny Newton, Kansas. Marlis has plenty to do in Newton—attend Bible study, visit her grandkids, bike around town, watch holiday parades—but the truth is, she’s most at home when she’s with her fellow adventurers in the great outdoors. They call themselves the Wild Women of the Wilderness. They’re strong in numbers—last Marlis checked, there were 25 card-carrying members—and rife with wisdom. 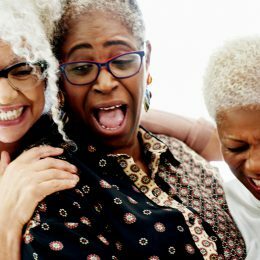 For close to two decades, the women, the rest of whom range in age from 40 to 65, have backpacked, canoed, and swam together in some of the most beautiful corners of the country. At 78, Marlis is easily the most senior member of the group, but she keeps up just fine with the younger explorers. In fact, she trains hard in the gym four days per week so she can prepare for wilderness weekends. Marlis, left, with one of her fitness instructors. 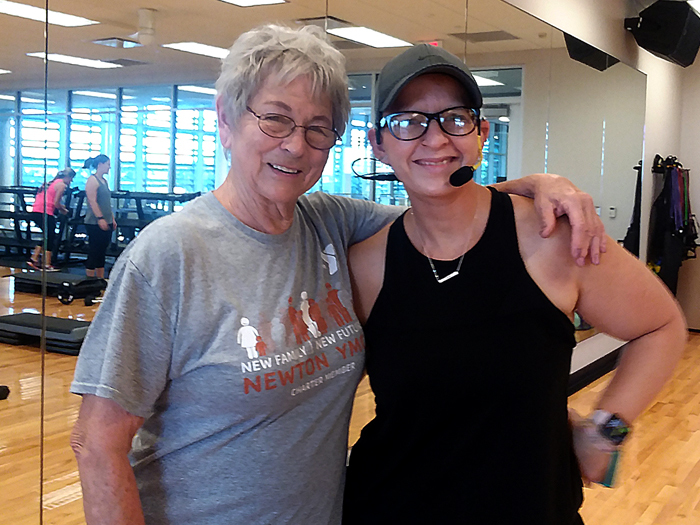 “This club is my main motivation for staying fit,” says Marlis, a SilverSneakers member since 2016. Here’s how Marlis became a Wild Woman, and why she isn’t planning to put away her hiking shoes anytime soon. Marlis has always been a proponent of fitness. But as a teenager growing up in rural Nebraska, her opportunities to stay trim were slim. Girls weren’t allowed to participate in varsity athletics at her high school, which meant she had to get her kicks in other ways. She roller-skated, ice-skated, and sprinted four blocks to and from school each day. “I got pretty good at running with my trombone in one hand and my books in the other,” she jokes. Marlis moved to Kansas for college and stayed to work a variety of odd jobs, including a lawyer’s secretary and soda jerk at a drugstore. After a brief stint in Indiana, where she and her husband had daughters Marcia, Linda, and Lisa, she returned to the Sunflower State and began developing a love for the outdoors. Family camping vacations and weekend waterskiing expeditions kindled the spark. It took a long time, however, for the flames to truly fan. 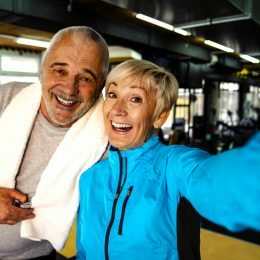 It wasn’t until Marcia, an avid runner, made her way back to Kansas after working in Florida that Marlis became serious about sweating. When Marcia came home, she bought her mother a pair of running shoes so they could run together. Marcia hadn’t steered her mom wrong yet, so Marlis was game to pursue another hobby. But if she had any doubts, a doctor’s diagnosis that soon followed ultimately sealed the deal. Marlis was ready to work out—and enter the wilderness. At first, Marlis and Marcia were the lone members of their group. Marcia is a school teacher, so she scheduled trips around her summer vacation. The duo started taking weekend jaunts to national parks, and they recruited more curious guests as the years went on, eventually converting them into regulars. 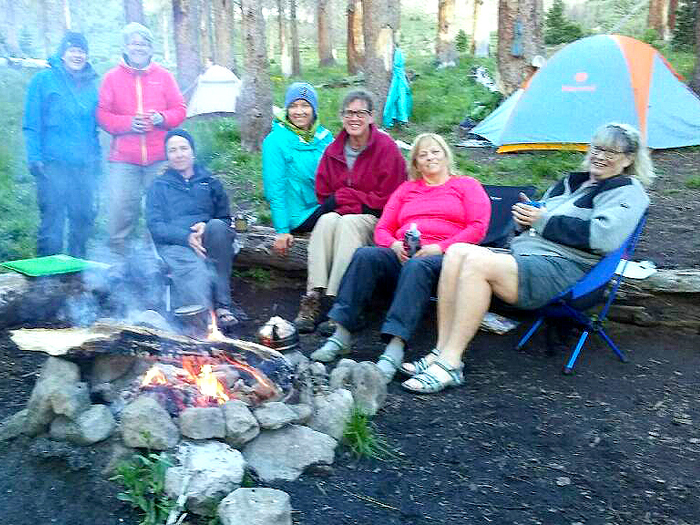 In 2012, Marlis and Marcia brought six other women, many of whom had never been backpacking, to the Squaw Creek Trail in Southwest Colorado for a week. They’ve made annual Rockies expeditions ever since. Marlis and the Wild Women of the Wilderness. But the Wild Women of the Wilderness don’t just backpack in the summer. Every winter, they hit the Rock Springs Ranch, a 4-H retreat campground in Junction City, Kansas, where they shoot rifles, climb mountains, and roast marshmallows. They also schedule spring trail hikes, canoe trips, and cookouts. “But mostly, we just laugh a lot,” Marlis says. Whatever the activity, Marlis is always up to the challenge. She sweats buckets during the week to make sure of it. 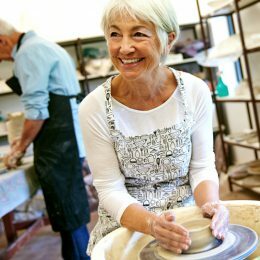 Two years ago, Marlis began taking SilverSneakers classes at the newly built YMCA in Newton. The moves she’s learned and mastered in her current rotation of classes—Body Design, Muscle Pump, Fierce, and Pilates—have helped her hike without complications and recover from a recent knee injury. 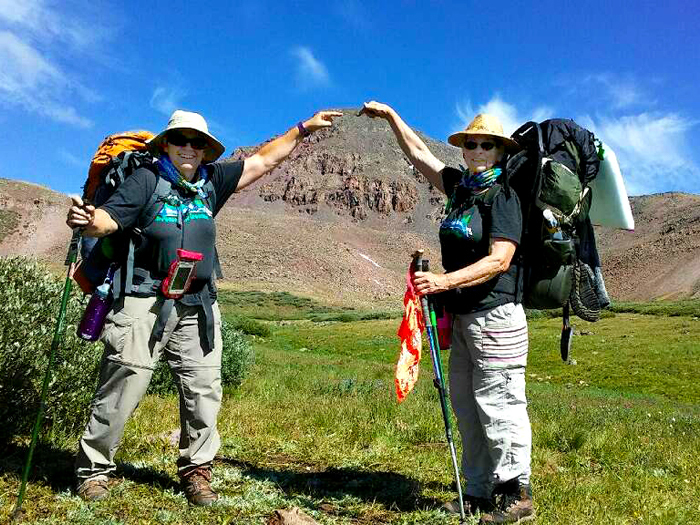 Not only has she made big gains—“It feels good to be strong,” Marlis says—but she’s also formed real relationships through SilverSneakers, including with a “fearsome lady friend” named Sue, who has joined her on Wild Women trips. “Having a workout partner is a great motivator,” Marlis says. With many years of adventures ahead, Marlis doesn’t want to put a limit on what she can accomplish in the gym or on the trail. She just knows she’s in the best shape she can be, especially considering the alternatives.